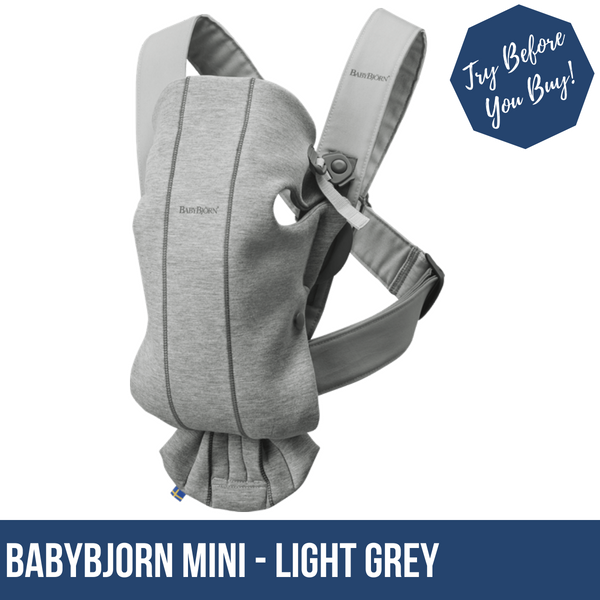 The BabyBjorn Baby Carrier Mini is small, easy-to-use and supersoft for your newborn. Use from birth to carry baby facing in on your front, facing outwards option once they’re at least 5 months old. 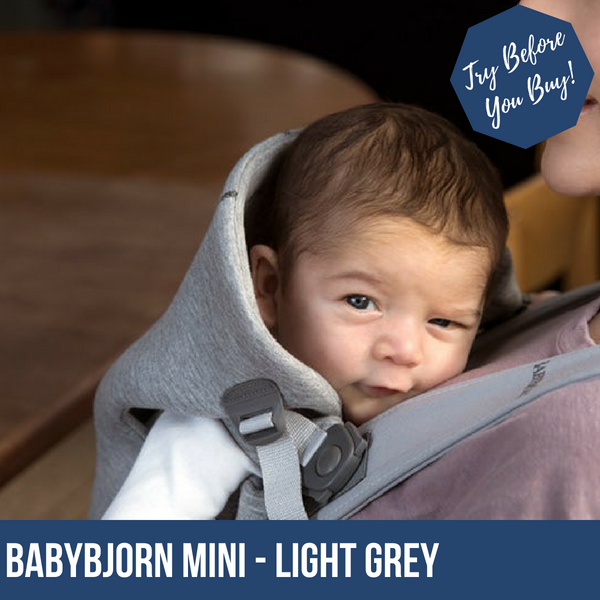 All the BabyBjörn Baby Carrier Mini Carriers retailed by South East Slings are in the NEW super-soft and snuggly 3D Jersey Cotton. Our newest and softest material is as snug as your comfiest T-shirt. The smooth, flexible fabric gently hugs your newborn when you’re babywearing. What’s the difference between Baby Carrier Original and Baby Carrier Mini? Wider seat area. 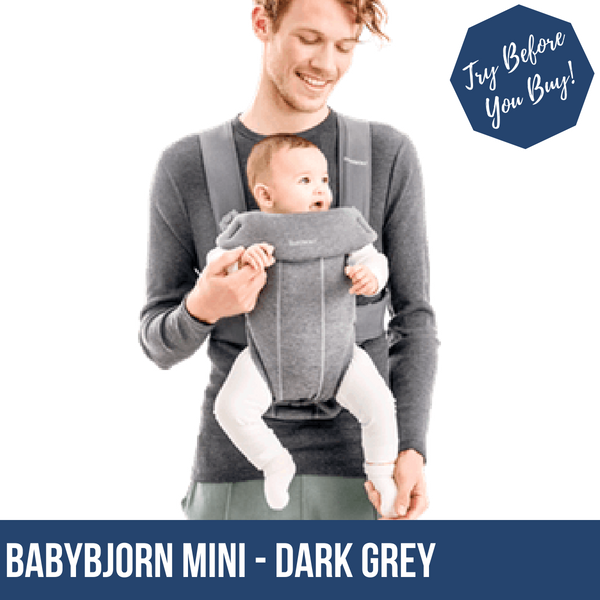 The seat area of Baby Carrier Mini is 10 cm wider at its widest part than the seat area of Baby Carrier Original, and this means that it provides better support for a newborn baby’s legs and hips in the facing-in position. New unique baby carrier materials. The fabrics we use have been developed specifically for our baby carriers and are designed to suit newborn babies. Our jersey baby carriers are made of 3D fabrics that consist of three layers – an inner layer, an outer layer and a middle layer. Instead of padding that might make the baby carrier too warm, the middle layer consists of a fine, single-fibre thread. 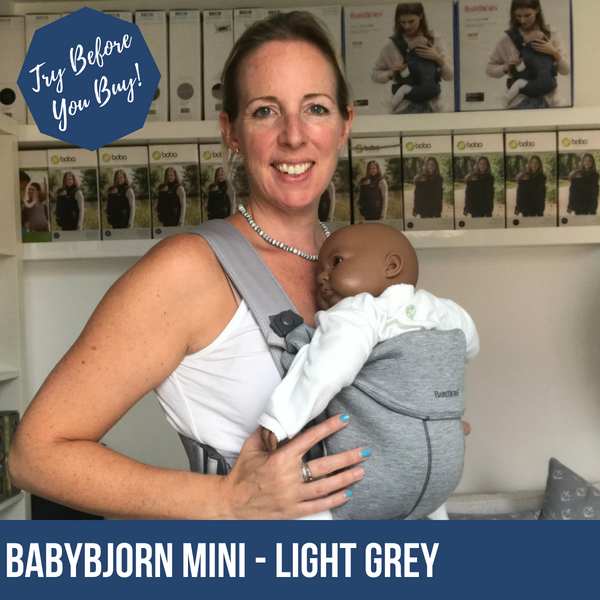 This gives the baby carrier the stability of padding, yet ensures a very good air flow, so that it stays airy and cool when you’re babywearing. 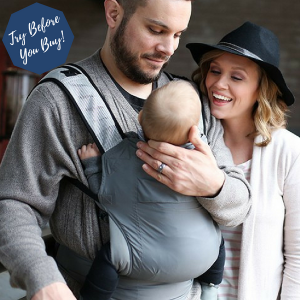 BABYBJORN BABY CARRIER MINI IS NOW AVAILABLE ON A TRY-BEFORE-YOU-BUY BASIS! 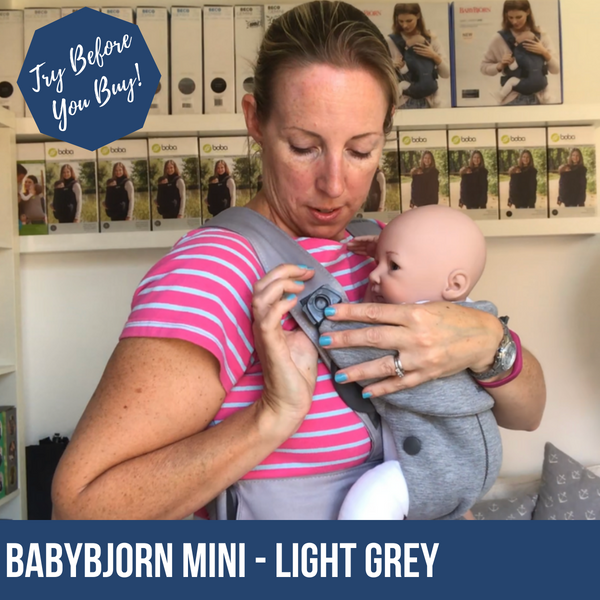 If you’d like to try one before buying, buy a new BabyBjorn Baby Carrier Mini online and try it out. If for any reason you don’t like it, return it within 2 weeks of the purchase date and you will be refunded the purchase price (minus the £15 2-week hire fee and outgoing postage). Just get in touch to let us know you’d like to return it and to request the return address.